Are you passionate about creating a home that is warm and welcoming? If you have read my blog for any amount of time, or you’ve been to my shop at French Garden House, you know that I believe with all my heart that your home should reflect the way you live, your passions, and evolve with your personal style. Creating a space surrounded by beautiful things you love is one of the best ways to express your own style and improve your quality of life. Here are a few simple ways to weave your personality into your home, making your home a reflection of what you love. Feathering your nest for Spring is easy with these tips! Welcome Mother Nature into your decor, spring is an especially great time to sing nature’s praises in your home. I am always inspired by nature, and our gardens, so I weave natural or green accents into our decorating here at FrenchGardenHouse through-out the year. Fresh, or faux, this little nod to nature keeps our interiors fresh, organic in feel and brings a touch of casual. I love this arrangement of faux hydrangeas because it looks just like you cut the flowers from your garden, it is not fussy in looks, nor upkeep! These flowers are especially designed to be displayed in water, further enhancing the illusion of the “real” flowers. I am excited that these best-selling stems now come in a new, deeper color, actually a French Blue with a hint of lilac and green, for all of you who emailed and called asking for more! Weaving natural elements into your décor doesn’t need to take much time. For this guest bath, I just placed a small floral arrangement on an antique child’s chair in front of the bath tub. Since the chair is painted a vintage aqua blue, the faux floral with purples adds a pop of color and a bit of spring excitement to this bathroom. I love it! I am wildly in love with topiaries, at any time of year. These are almost just like the preserved topiaries we sell at FrenchGardenHouse, except that they are silk. I adore the preserved ones, don’t get me wrong, these are just another version, they tend to stay greener longer, and are a bit less costly. They just sit on top of the organic and earthy pots meant to look just like the antique French ones we sell. Fool proof to use, these look fantastic on your mantel, or marching down the center of your table. Group some together on an antique silver tray, and you’ll have an exceptional display in minutes! And you never have to worry about watering. Another classic FrenchGardenHouse look is creating beautiful décor with layers. It’s all about creating little touch spots of beauty by pairing several decorative accents together to create a harmonious, layered story. Don’t be afraid to mix “un-like” elements, here I mixed beautiful lavender purple transferware with a very rustic French metal vase. A potted flowering plant and little faux bird’s nest complete this story of spring. Another place I always like to layer is on my tables. Here at FrenchGardenHouse I’m not really a fan of matched table settings. I like to make each table a small work of art, combining French Country antique linens with contemporary dishes in fun patterns, and adding heirloom antique silver and porcelain dishes. The pink roses and green hydrangeas are in a French pink enamelware “vase” – this table combines the best of heirloom pieces with new…unexpected and with a touch of elegance! That’s what makes layering fun, the element of surprise, the mixing of era’s and designs. Especially traditional interiors decorated with antiques can sometimes get a little “too” serious. One way to inject some fun is to display your sense of humor! One way I lighten the mood, and look of our home, is to tuck in whimsical objects that make me smile. My living room is the more elegant part of our French Country style home, but inside my antique armoire, two little porcelain doll’s legs stick out of an antique silver baby cup. just. for. fun. I am always drawn to small figurines, they are perfect to weave into large or small displays. Spotting a small and whimsical, totally unexpected figurine in a display is a happy surprise to reward anyone who carefully looks at your decor! Small little vintage and antique dogs are a cute reminder that we love dogs at FrenchGardenHouse. At times, you can spot one or more in our living room, standing guard on the coffee table, such as the little terrier above, who has climbed up on the stack of antique French books. Sometimes I add them to an antique cloche, although mostly I allow them to “roam freely” because. #dogsjustwannahavefun! If you are not a fan of dogs, a little girl clutching her spring flowers, or even a framed photo of someone you love in a funny pose can work just as well! 4. ELEVATE EVERY DAY ELEMENTS. To add some dimension to this tray display in the living room, I layered a favorite statement necklace that features gorgeous gemstones from Peru, natural opals, over a stack of antique books. Their color is remniscent of the Caribbean Sea, a soft translucent blue green – local folklore says these gemstones soften the impact of stress. I added an antique French mother-of-pearl set of opera glasses to the top, popped a maidenhair fern in the opaline vase, added one of our Lavender scented luxury candles, and voilà, a layered display that is interesting and a treat for all our senses! We have a lot of books here at home. We’re trying to curate our collection, by donating many of them, but there will always be stacks and stacks of favorite books, antique and otherwise. Instead of fighting it, I’ve taken to using them in all sorts of ways to solve some of my decorating dilemmas, and using them to create charming displays. In the photo below, I used a small stack of antique books to elevate the beautiful antique French Samson Chelsea style porcelain figures. Instead of featuring the books as a focal point, they provided a little riser for the stars of my display. They are elevated, and that is just what they deserve, these are exceptionally gorgeous! I hope this has given you some inspiration to create a bit of Spring magic at home! Lidy — Such a beautifully written article with wonderful ideas! Thank you! You have a phenomenal talent for creating interesting and pleasing vignettes in the home that enhance every-day life. Thank you for the inspiration. Now, I need to get to work! Thank you so much, Janet, that is so nice of you to say. It’s always a joy to take our favorite antique pieces and create little beauty spots at home, isn’t it? Makes our home such a warm, inviting place to be for us, our families and friends! Dorothy, it’s all about re-purposing and creating beauty in your home, isn’t it? Just a little re-shuffle always brings your treasures to a new light! Such a beautiful post, Lidy. What wonderful tips you have given us. All of your vignettes are just beautiful and welcome spring wonderfully!!! Like you, Shannon, I can’t wait until spring actually arrives! Lidy, this is one of my favorite post. Beautiful and such wonderful inspiration. Wishing you and yours a glorious spring! I wish you a glorious spring, too, Sandra! I can’t believe it’s almost Easter, can you? So looking forward to those sunny, magical days when we can spend time in the beautiful outdoors again. Great tips, Lidy and I love using fresh & faux flowers and branches indoors, too! Happy Tuesday, my friend! These are really beautiful ideas, Lidy. Bringing the outdoors in is always the best feeling. Stacey, I’m with you, bringing the outdoors IN is always the best feeling. It makes us happy, doesn’t it? 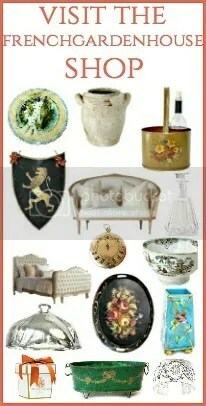 Lidy, what beautiful vignettes that you create with so much imagination! I loved all the tips to bring spring into our homes! You always inspire and I am wishing you a most wonderful spring! Thanks so much, Pam! Happy first day of Spring! Thank you Lidy! Great ideas that I’ll love to bring home -love all!!! Thank you Tere, I hope you bring some spring beauty inside your rooms that will make you smile each time you see them! Thank you so much Jean! Happy Spring, friend. Beautiful, beautiful, beautiful!! !….As always Lidy…you give us the most fantastic tips and show us ways to enhance and beautify our homes in an elegant, yet cozy manner…I had to laugh out loud seeing those doll legs in the silver cup!…Yes, we all need a bit of fun in our decor!….the faux flowers are exquisite!!! Happy Spring, Shirley! I know at your house snow drizzled down this week, but soon your beautiful state will be having true spring weather, and the gardens will bloom with their most brilliant flowers. Definitely a new follower here. I am really enjoying reading your articles. I feel inspired instead of how I usually feel when reading some blogs. Which is talked down too, or that I just read a re-run. Loving all the tips and points you made as well. They are striking a cord as I am deep in purge mode and only keeping what speaks to me. Hopefully I will end up with a timeless and poignant look such as yours. Thank you so much for taking the time to leave a comment. I hope that you always feel inspired, and welcome. Keeping only what you love is such a great way to create a home that you really do love, it should feel like a blessing each time you open your front door! I agree you can never have enough jewelry. I have a lot that was my mom’s. I don’t wear much of it but I do decorate the Christmas tree with may of the pieces. I love your idea of adding them to the table. Another great idea you have given many of your friends.